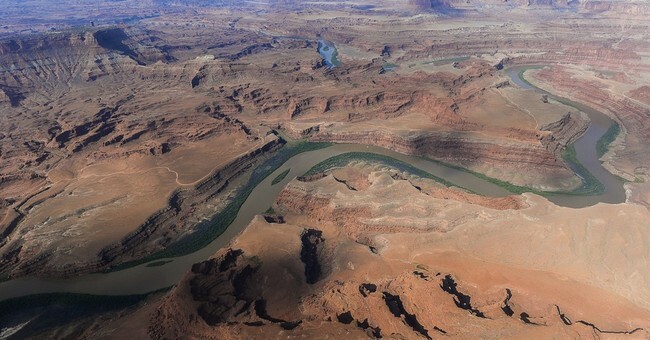 Over the last 20 years, presidents from both sides of the aisle have used the stroke of a pen to lock up hundreds of millions of acres using the Antiquities Act, but none more egregiously than President Obama. In 2014, then-President Obama said, “I’ve got a pen and I’ve got a phone. And that’s all I need.” This braggadocious one-liner was the basis for devastating monument designations by the Obama administration. President Trump’s recent Executive Order directs Secretary of the Interior Ryan Zinke to review national monuments created by the Antiquities Act since 1996 that exceed 100,000 acres and to coordinate with local stakeholders. These communities that were shut up and shut out of the charade of discussions surrounding national monument designations deserve a voice. Over the past century, presidents have utilized the Act a total of 233 times to designate roughly 840 million acres of land and water as national monuments. This staggering figure is in addition to a massive federal estate that now exceeds 635 million acres. President Obama’s unprecedented abuse of the Act locked-up an astonishing 553,599,880 acres, or 66% of all land and water designated as a national monument under this century old law. No one in their right mind could possibly believe that 553 million acres is the “smallest area compatible” for these new monuments. National monument designations utilizing the 1906 Act have significant implications for energy development, water rights, wildfire prevention, grazing rights, and other crucial land management activities. More often than not, these declarations also result in some of the most restrictive land-use regulations possible, thereby negatively affecting a myriad of recreational activities. Not to mention the fact that unilateral designations that lack congressional, state, local and tribal support typically result in devastating losses and costs for education and infrastructure. Hitting the mute button on state and local stakeholders while elevating the priorities of environmentalist factions, President Obama designated both the Bears Ears National Monument in Utah and the Katahdin Woods and Waters National Monument in Maine during his waning days in office. Special-interest groups were permitted to overwhelm the voices of those whose daily lives, sacred rituals and outdoor recreational pursuits are impacted most significantly by such designations. The Bears Ears land grab was also not the first time that Utahns saw tens of thousands of acres ripped away from the Utah School and Institutional Trust Land Administration (SITLA). The Trust lost 176,000 acres in 1996 after President Clinton designated 1.7 million acres in Utah as the Grand Staircase-Escalante National Monument. With President Obama’s 2016 Bears Ears designation, another 109,000 acres of SITLA land were locked-up. SITLA generates important revenues for Utah’s K-12 public education system, and as a result of two strokes of a pen, 20 years apart, the Utah public school system fell victim to what can only be described as blatant executive overreach and generational theft. Unfortunately, there are countless other examples throughout our nation’s history of these types of land grabs. After an unsuccessful campaign to accrue congressional, state or local support for a national park in Maine, Roxanne Quimby, founder of Burt’s Bees and Elliotsville Plantation Inc., donated nearly 88,000 acres and $40 million to circumvent Congress. One day after the donation, President Obama designated the Katahdin Woods and Waters National Monument. This glaring example of pay-to-play politics is particularly shameful in light of the vehement opposition by those who have worked on and enjoyed the land for generations. Maine’s economy, heavily driven by forest products and industry jobs, will be severely impacted by this monument. Reform to cure this abuse is necessary. Wyoming has the right idea. After President Roosevelt tested the very limits of the Act in 1943, Congress passed a law requiring any new monument designation in Wyoming to have congressional consent. After Jimmy Carter used the Act as carte blanche to designate 17 national monuments in Alaska, Congress limited future designations in the state to 5,000 acres or less. Communities whose backyards are the subject of this debate deserve to have a seat at the table when important land management decisions are made that affect their livelihoods. President Trump’s Executive Order provides an opportunity for that coordination and ensures that out-of-state and out-of-touch groups do not drown out the voices of the communities most deeply impacted by these monuments. Congressman Gosar represents Arizona’s 4th Congressional District. He currently serves as Chairman of both the Congressional Western Caucus and the House Committee on Natural Resources Subcommittee on Energy and Minerals.